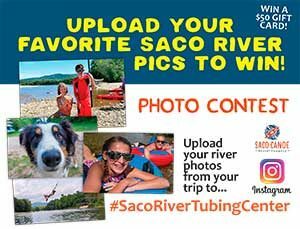 River Etiquette | Saco Canoe Rentals - New Hampshire Canoe, Kayak and Tubing Rentals on the Saco River. Please leave NO Trace. The Saco River is the Jewell of the Mt Washington Valley. Please help us protect the river for future generations to enjoy. 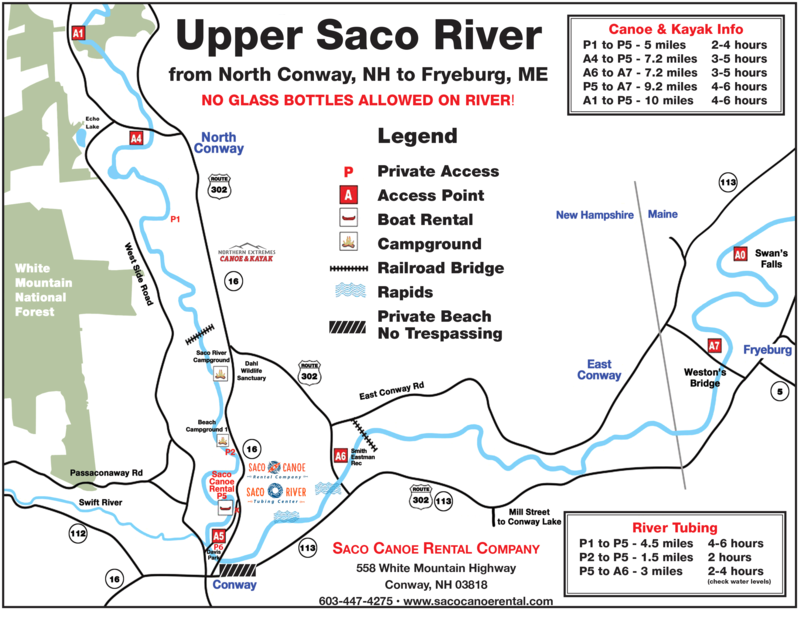 All land along the Saco River is private property. Please respect any no trespassing signs. Carry Out all trash. We have dumpsters at our landing. There is no one to pick up after you. No Glass bottles are allowed on the river. Human Waste: Please bury 6 inches deep. Rope Swings: Use extreme caution they are no maintained by Saco Canoe Rental Company or affiliates. Rope swings are maintained by 14 year old aspiring engineers.